This article has been viewed 16785 times. Acupuncture receives a lot of skeptical reviews as there has been little to no research to prove otherwise. 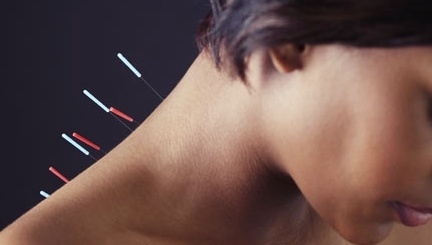 Scientists have discovered that acupuncture indeed works when relieving pain. Acupuncture is an ancient medical science originating from China. Acupuncture has been practiced for years and years far longer than western medicine that receives so much trust today. Many scientists and individuals' believe that the results a person experiences from acupuncture sessions are a placebo effect. They believe that the very fact that a patient invests so much trust in the practice of acupuncture that their health improved. Now there is scientific proof that acupuncture actually affects brain cells that are used to perceive and process pain. A study was conducted by a team from the University Hospital in Essen, Germany. The study took a group of participants and took a brain scan while they were applying an electric shock to their ankle while acupuncture needles were placed in three specific locations. The brain scan revealed that with the presence of acupuncture needles there was a dramatic decrease of activity in the area of the brain that processes and perceives pain. This is great news for those that have spent large amounts of money on acupuncture therapy because now there is hard evidence that their pain reduction was indeed related to acupuncture. There is not scientific evidence that supports the other health benefits from acupuncture such as allergy treatment, fertility treatment or overcoming bad habits like smoking. This does not mean that acupuncture does not work for these health issues but rather there has not yet been scientific evidence but many people believe their health improvements are largely connected to their acupuncture treatments.